A jolt of energy to start your week. Birdman's new track is cheerfully self-affirming. Who made niggas millionaires and they ain't have nothing before I met 'em and then I made 'em into something? he asks in the "Fuk Em" outro. This is not a rhetorical question: Me, that's who! 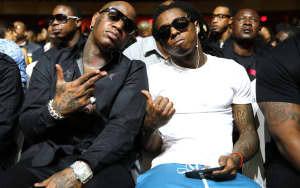 Hot Boy and Neno Calvin join Birdman on the track; watch the Legit Looks-directed clip above. On Instagram, Birdman also teased a new tune titled "Respek," showing that he's still getting mileage out of his instantly classic interview with The Breakfast Club.